Western Digital this week announced plans to shut down its HDD assembly facility (near Kuala Lumpur, Malaysia) by the end of 2019, and then sell the property. The factory has been used for several decades, but Western Digital says that the total available market for client hard drives has been shrinking in the recent years and will continue to do so in the coming years, which is why it does not need the extra manufacturing capacities that it will not be able to use. 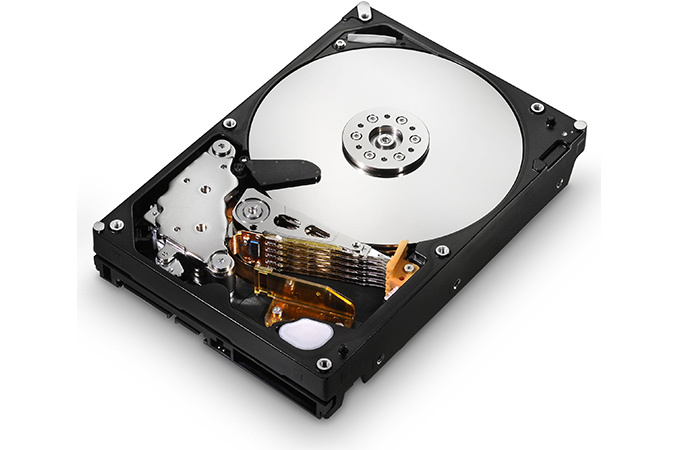 Western Digital is a vertically integrated maker of hard drives. The company produces all the components of HDDs in-house, everything from media substrates to platters and from head substrates to HGAs (head gimbal assembly) and HSAs (head stack assembly). Obviously, it performs final assembly and testing too. At present Western Digital has three factories that produce hard drives: the largest one is located in Bang Pa-In (Thailand), the second largest one is situated near Kuala Lumpur in Petaling Jaya (Malaysia), and the smallest one is sited in Prachinburi (Thailand). Meanwhile only the largest one is more or less vertically integrated and makes not only HDDs, but also many of their components (see the table below for details). The total available market of hard drives dropped to around 400 million units in 2017, down from around 550 million units in 2014. 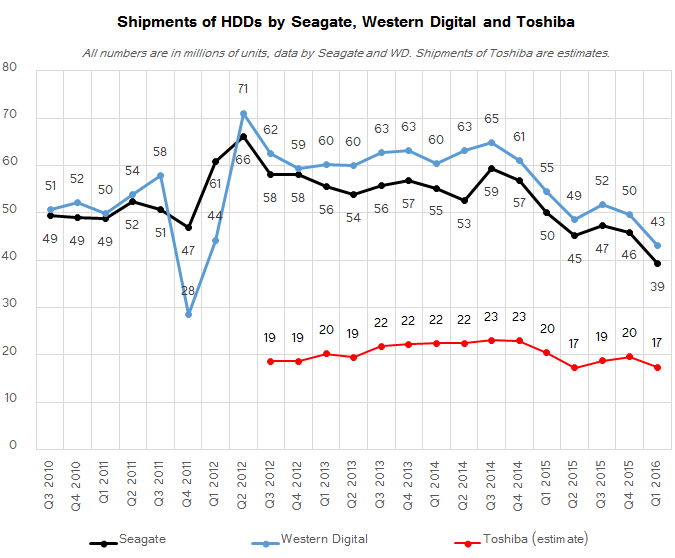 As a result, both Seagate and Western Digital have been reducing their HDD manufacturing capacities in the recent years. Seagate shut down its HDD assembly factory in Suzhou, China, in 2017, whereas Western Digital closed down its head wafer facility in Odawara, Japan, in 2016. While the HDD TAM has been on the decline for years now, sales of nearline hard drives featuring a massive capacity for datacenters have been growing. Therefore, neither Western Digital nor Seagate have plans to limit production of these products. The production facility in question was established in 1973 and initially made semiconductors. Since the factory had a clean room, it was relatively easy to convert it to an HDD assembly plant in 1994. After the facility is decommissioned, Western Digital intends to sell the site near Kuala Lumpur. What remains unclear is what is going to happen to Western Digital’s sites near Johor and Kuching, where the company makes HDD components. The company also did not disclose its plans for its HDD R&D facility near Kuala Lumpur that was added to the plant in 2010 – 2011 and cost $1.2 billion. Instead of making hard drives in Malaysia, Western Digital says it plans to expand production of SSDs in the country and will commission another SSD assembly factory in Penang in the coming months. It is noteworthy that production of SSDs is relatively easy and cheap. Assembly of SSDs does not require state-of-the-art facilities, unlike production of NAND flash memory and assembly of HDDs. Meanwhile, by adding another SSD production plant in Malaysia, Western Digital will have three SSD assembly factories: one in Shanghai, China and two others in Penang, Malaysia. *Products originally developed/made in the facility. As wrkingclass_hero stated, SSDs aren't particularly well suited to cold storage. HDDs are better, but not the "best". HDD cold storage should be suitable for personal use if a user stores it in appropriate conditions (ie: not next to electrical/magnetic fields, not in damp musty environments like an attic, etc.). Magnetic and optical media is probably the best in terms of longevity, but have slower read/write speeds and may require specialized interfaces, depending on the medium. Time has really change - I remember my 1st hard drive was a 5 1/4 in double height drive for IBM PC that was only 5Meg. 2TD HDD cheapest around $50.